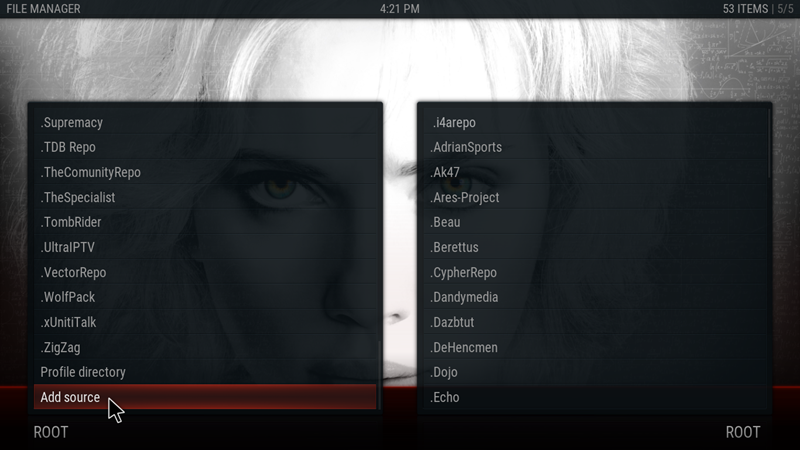 The New Build from CellarDoor, for Jarvis 16.1, based on Xonfluence mod and comes with a variety of themes and fonts. 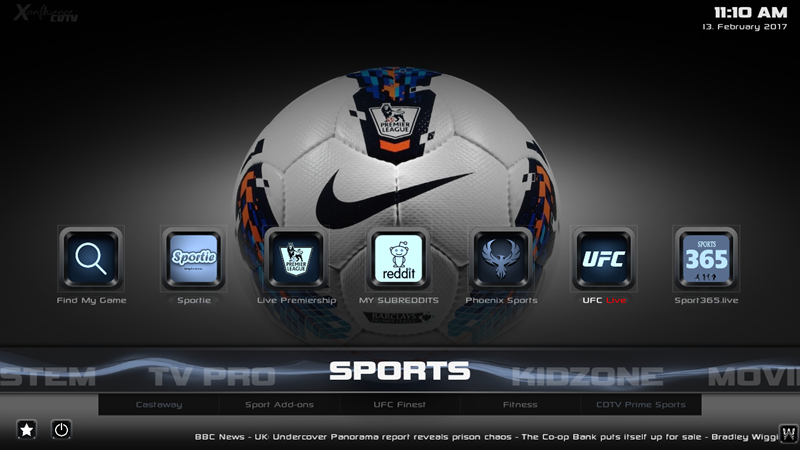 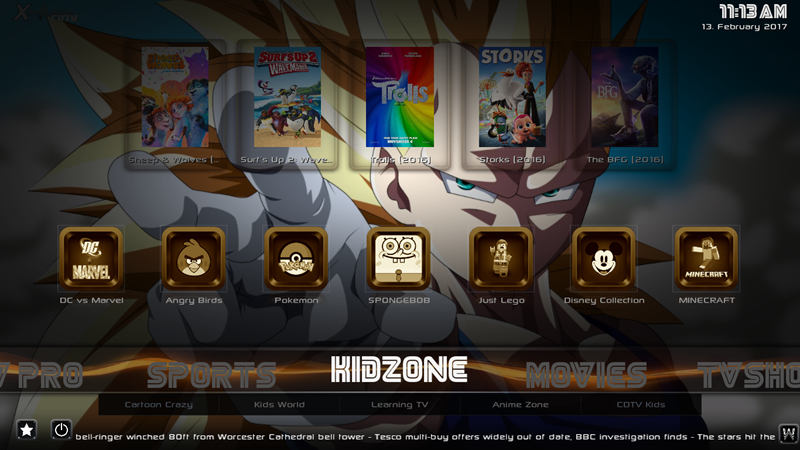 Pre-configured with all the necessary widgets and add-ons all you need to do is select the theme or font you want. 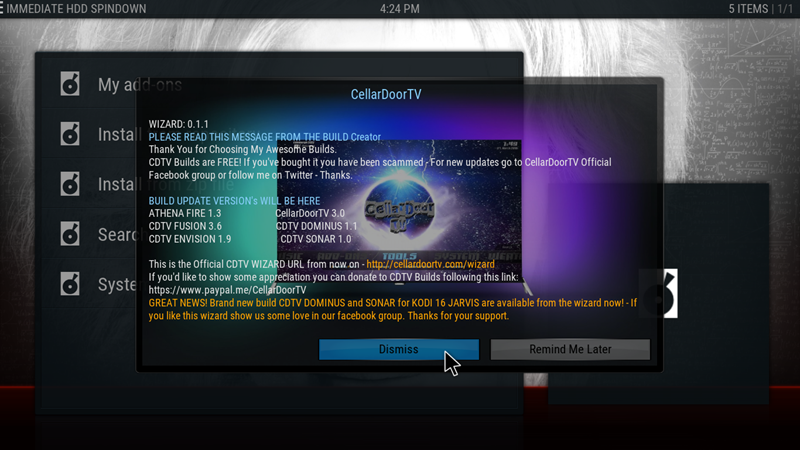 For more information about CDTV Dominus Build you can follow the developer in Twitter. 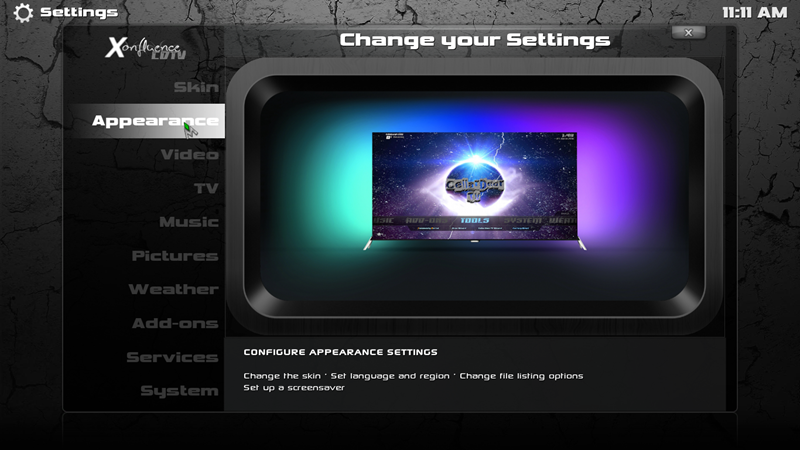 Follow the Installation Guide or simply watch our Video Guide. 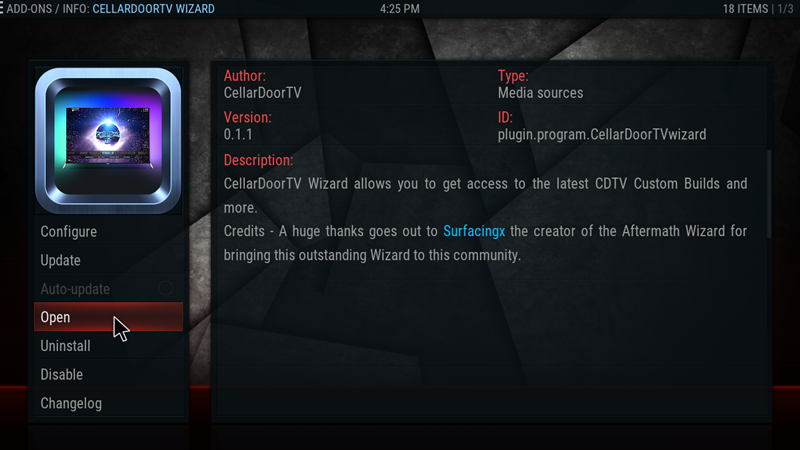 • Now you are in the CellarDoorTV Wizard environment. 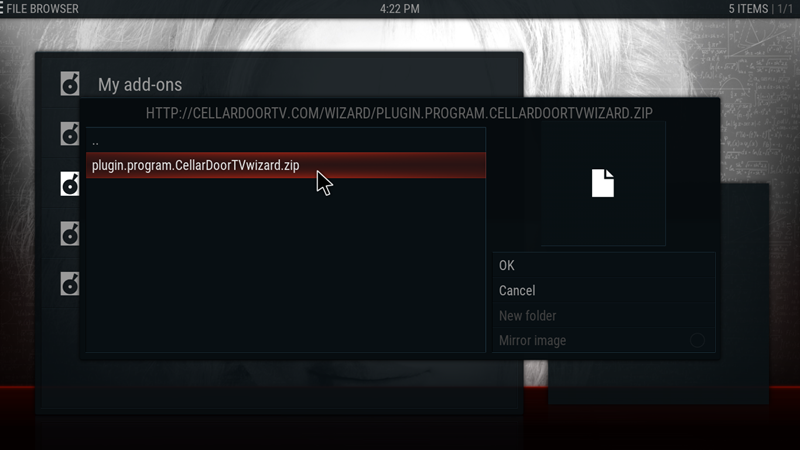 You can see more about CellarDoorTV Wizard in our Post. 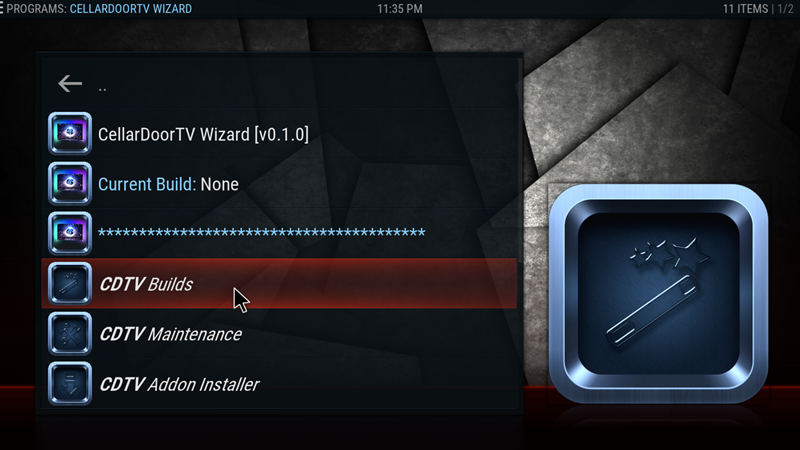 Now let’s install Dominus Build. • When the setup is complete select OK .
• Select Yes, Install . 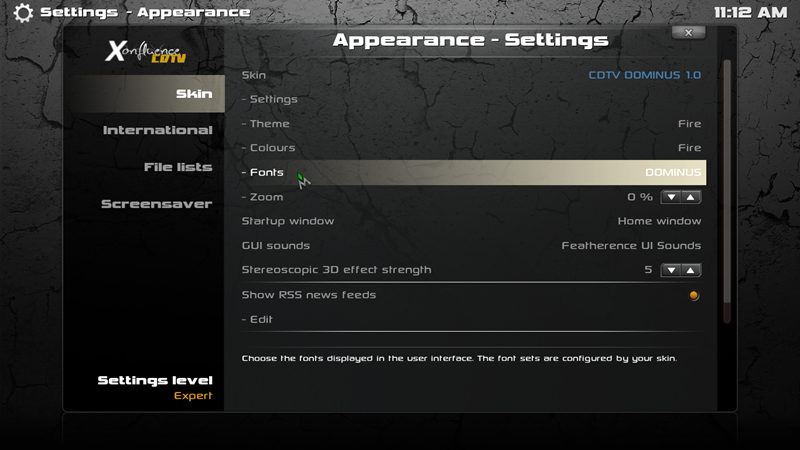 • Then, select No Thanks . 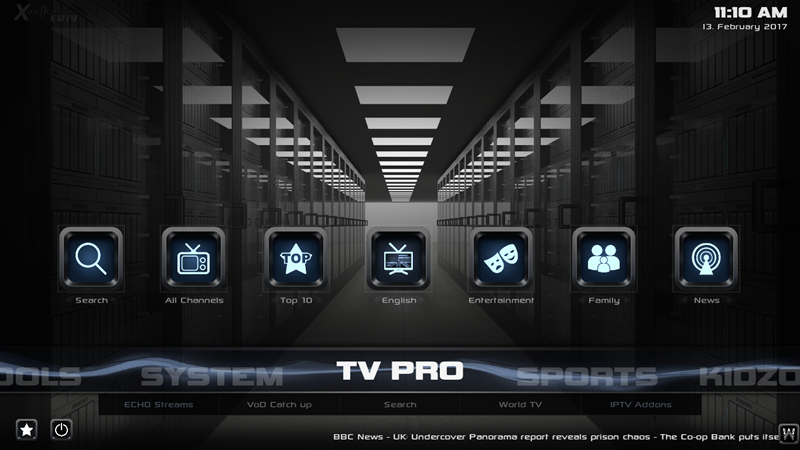 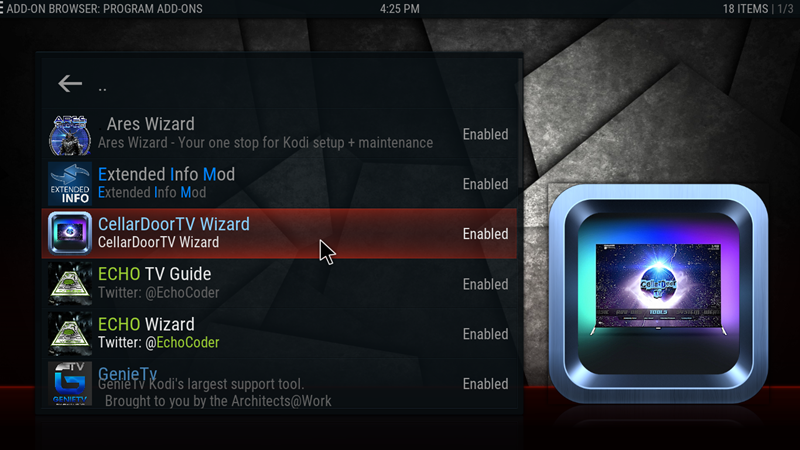 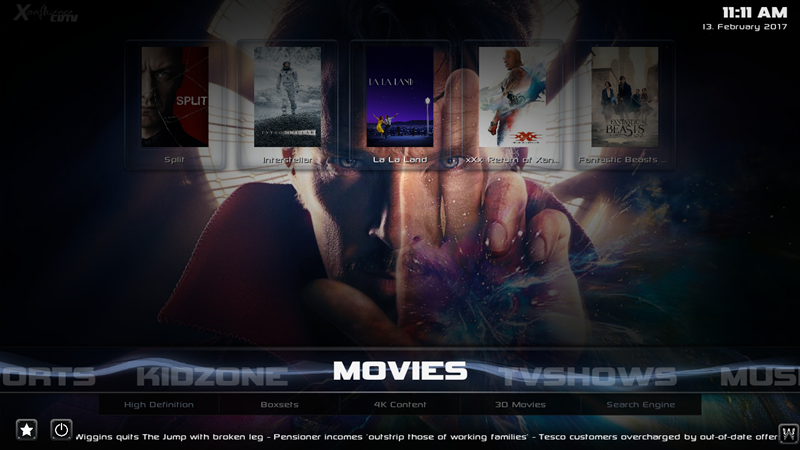 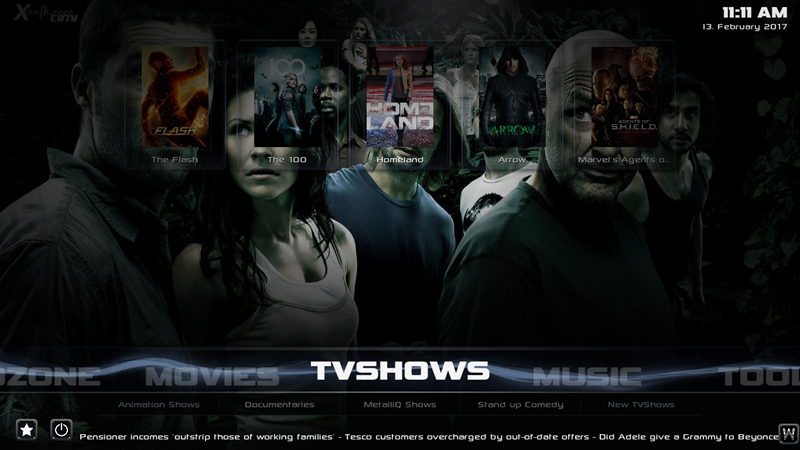 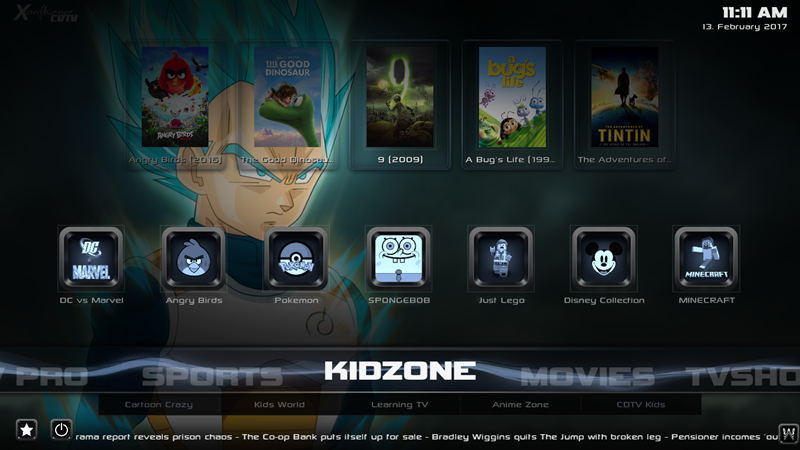 • Finally, you have to close Kodi to save your changes . 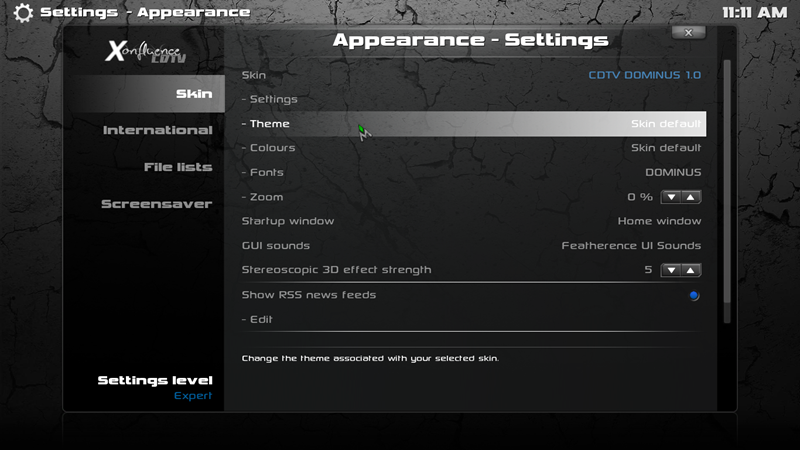 Click OK .
• Let’s take a look in every section of CDTV Dominus Xonfluence Skin Build. 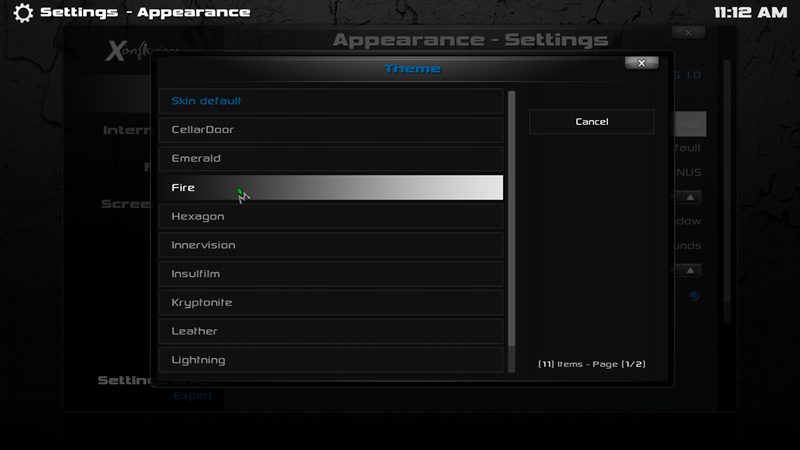 • For our example we are choosing Fire . 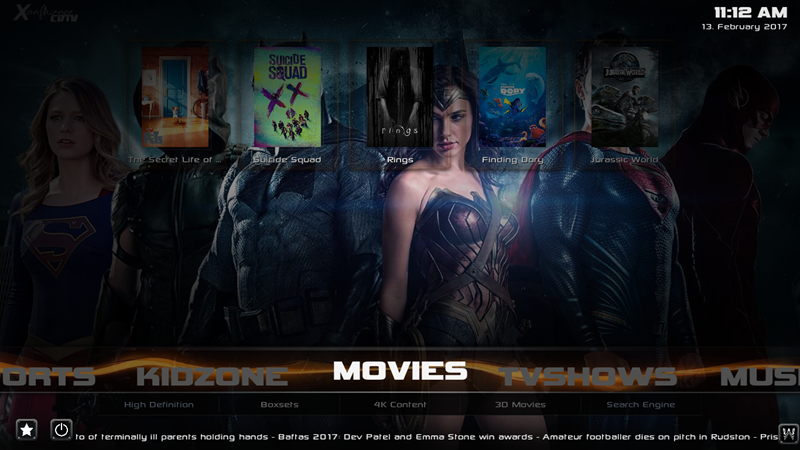 • Now let’s try and another Font. 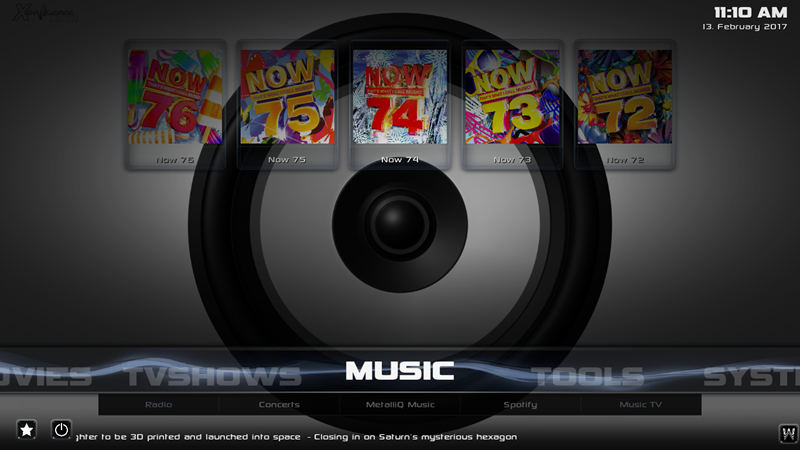 Go system again. 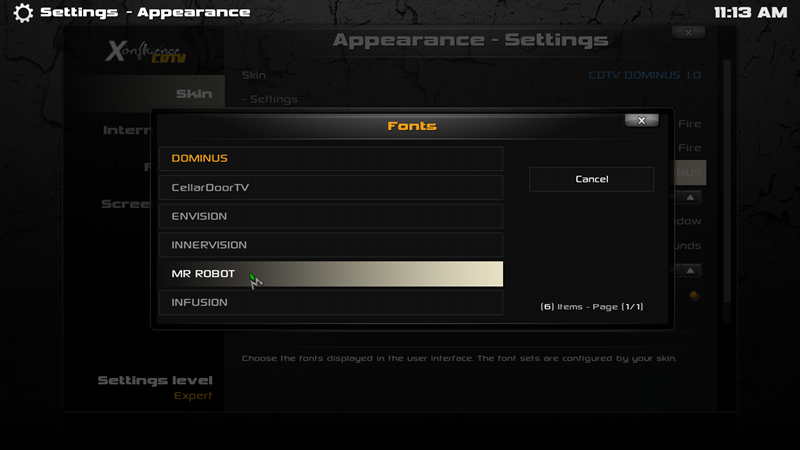 • Select from tab Skin –> Fonts . 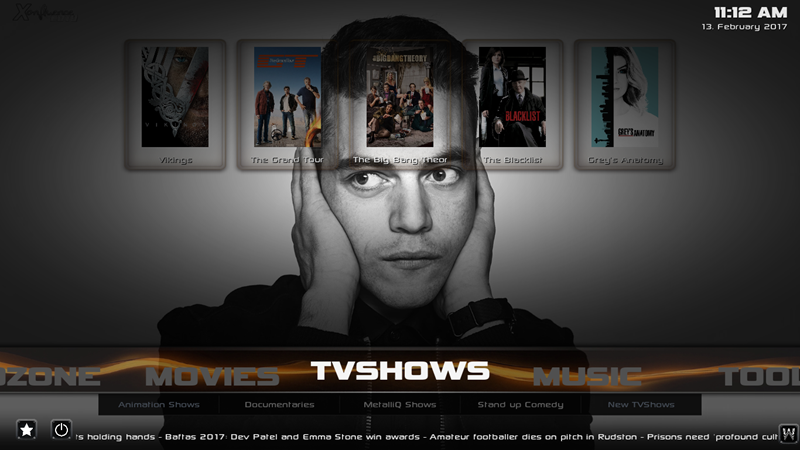 • For our example we are choosing MR ROBOT . 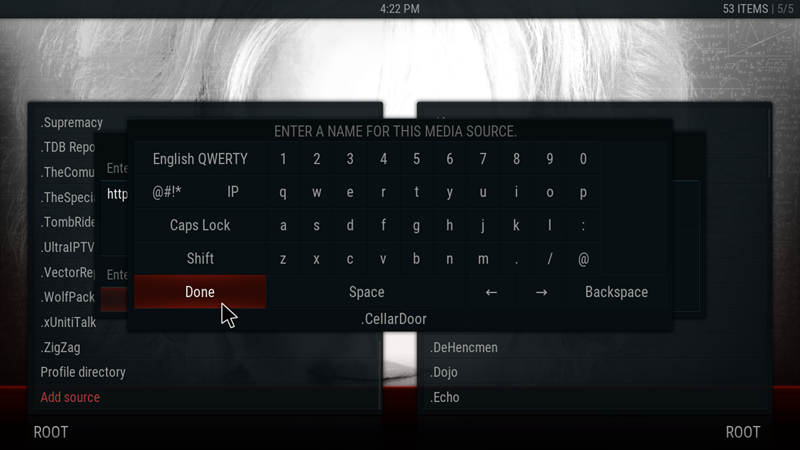 • Here is how MR ROBOT font looks . 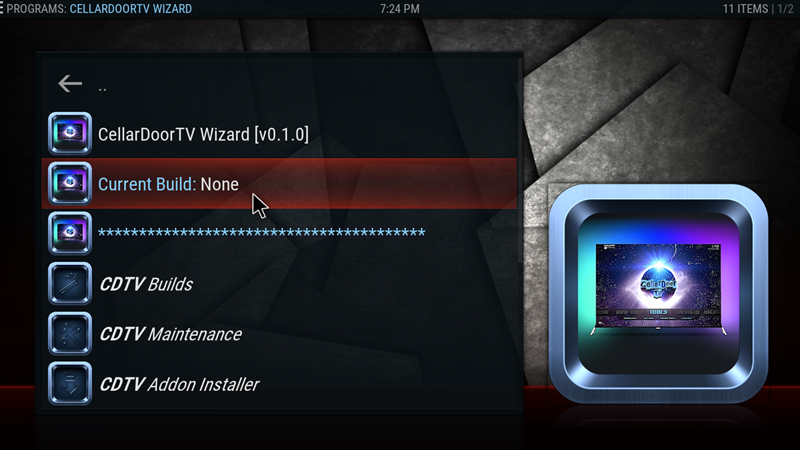 Keep in mind that when you install the Build, the system will take some time to update the add-ons and scripts as required, during the first run, so be patient. 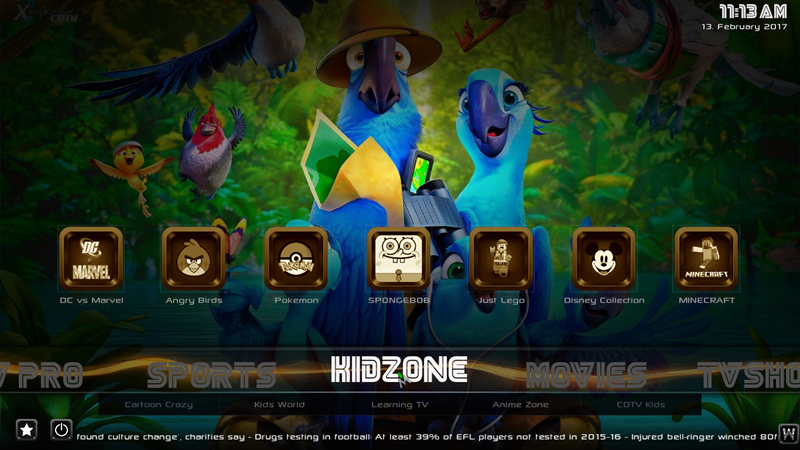 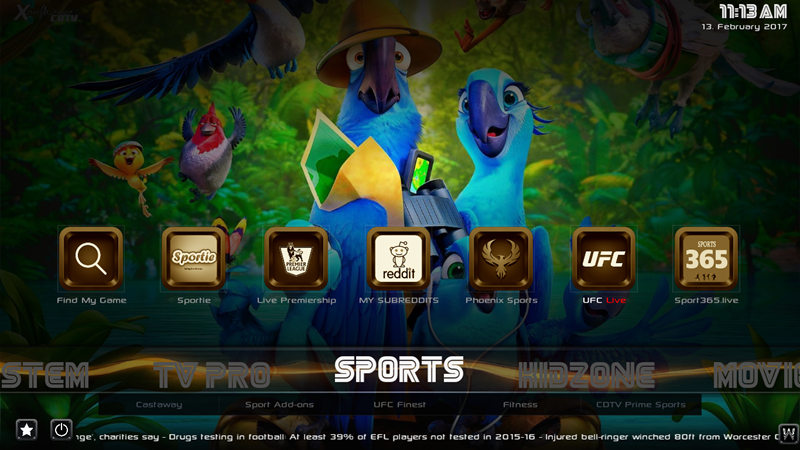 Since this is a 3d party add-on it is not supported by the Official Kodi Developers, Forums or Site. 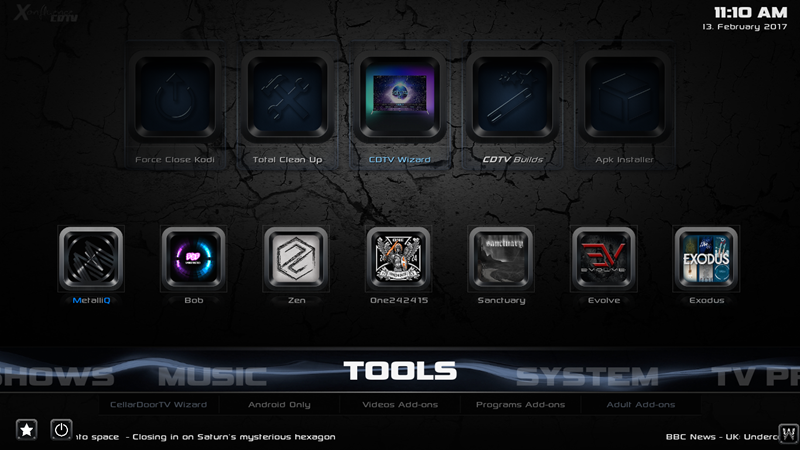 For more information about CDTV Dominus Build you can follow the developer in Twitter.